Kevin McCartan was a founding member of Influit Asia in 2015 and was appointed as Chief Operating Officer Asia. He works with the Influit Executive Management team and company directors to set the company strategy, targets and overall growth and long term business objectives. He plays a leading role in the company operations and business development, and is an appointed director of a number of the operating subsidiaries. 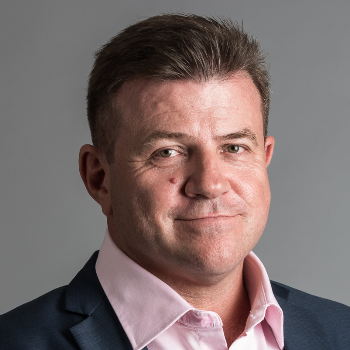 Kevin previously held the positions of Asia Pacific Regional Manager at Expro PTI, China Business Unit Manager at Weatherford Managed Pressure and Performance Drilling, China Area Manager and Expro and Australasia Area Manager at Expro. Earlier in his career, Kevin held offshore operational and leadership roles with Expro, Halliburton and Schlumberger in well testing and well intervention. Kevin believes that an oil & gas production solutions and production enhancement service company must provide innovative, and often unconventional, technical and operations solutions to its customers. He knows that Influit must provide differentiating solutions. Whilst Influit’s technical and engineering teams provide the process and facilities concepts and engineering, Kevin strives to work with the team and is focused on enhancing health and safety, operational excellence, system reliability and learning system aspects to the concepts. Kevin knows that these operational excellence factors are key to success and continual learning and improvement whilst also being a major part of most modern day International Operators’ working culture. Kevin takes regular visits offshore and sets a directive to his subordinate managers and supervisors to also do so, believing that it keeps management grounded and pragmatic. In the past, Kevin has supported and played a key role in developing, building and delivering successful and industry recognised production enhancement solutions such as provision of innovative new technologies: Well Unloading and Low Pressure Production Systems, Mini Gas Lift Gas Compressor Systems, Produced and Sea water treatment and injection systems for reservoir pressure management and sweeping operations. In the past 20 years Kevin and his fellow management team members have delivered an unrivalled number of Early Production Solutions in the form of Mobile Offshore Production Units (MOPU) within the Asia Pacific and Middle East. Kevin played a key role in delivery and operating of eight of these units in Asia in the past decade. Kevin has lived and worked in Australia, Vietnam, China and Thailand over his 30-year-long oil & gas career. Kevin and his family now live in Bangkok, Thailand, where Influit Global HQ is located.